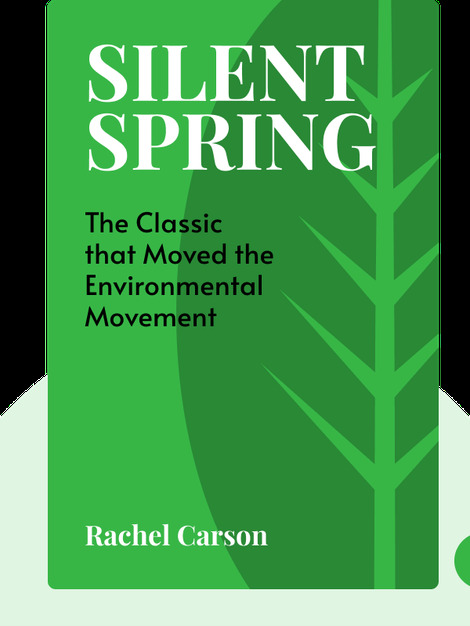 Silent Spring (1962) is about humanity’s misguided attempts to control nature through the use of chemical pesticides. Find out how our using manufactured poisons to kill unwanted pests disrupts the delicate balance of nature and threatens our very existence. Ultimately, these poisons have the power to destroy the environment, infect the food we eat and contaminate our very lives. Rachel Carson (1907 - 1964) was a writer and marine biologist who spent much of her life working with the US Fish and Wildlife Service. 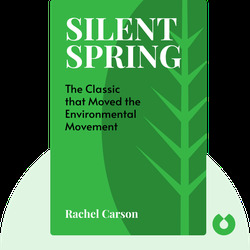 As the author of many acclaimed books on nature, she was an early and vital voice for environmental causes. Her other books include Under the Sea-Wind, The Sea Around Us and The Edge of the Sea.